Newport News Shipbuilding is world-renowned, for the scope of its operations as the largest dry dock in the world, and for the ships it builds for the United States military. With more than 21,000 employees, having the right tools and processes are critical. And one component of process that’s changed in the past few decades is software applications. Read on to find out how they are using SpatialAnalyzer for almost everything measurement related. Newport News Shipbuilding is world-renowned, for the scope of its operations as the largest dry dock in the world, and for the ships it builds for the United States military. With more than 21,000 employees, having the right tools and processes are critical. And one component of process that’s changed in the past few decades is software applications. Phil Caudill, the supervisor of the Dimensional Control Group, shared how the shipyard operated in the past. “At one time, we’d have measurement technicians become experts on a particular measurement system and its manufacturer’s software.” But then the process became more cumbersome. “With the measurement surveys increasing, becoming more diverse, and the addition of several new measurement systems, we needed to ensure any technician could use any measurement device, perform analysis, and report the results,” Caudill said. 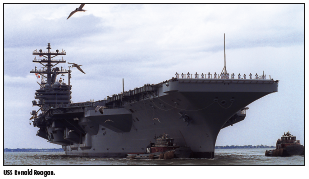 In general, the integration of portable metrology has had a huge impact on how large-scale projects are built, including the nuclear-powered aircraft carriers and submarines constructed at Newport News Shipbuilding. “Although not the largest of trades that work on the ships, the impact portable metrology has made over the years is signifi cant. Portable metrology has been used to align everything from catapults, to missile tubes, to navigation systems,” Caudill said. It’s also been used to determine neat cuts on super lift units, allowing the units to be prepared for joining in a remote location long before setting them on the ship. Caudill said portable metrology has grown to a point where it is now planned into the shipbuilding processes. It’s relied upon to meet schedule and accuracy demands throughout the shipbuilding process. Bob Salerno, co-founder of New River Kinematics (NRK), said that the shipyard is one of the best examples of how having the right software can make a difference to how measurement and data collection are performed.